Calling all dubstep, heavy-bass producers, DJ's, radio hosts and listeners. Do you like to spice up your sets a bit? Is your car suffering from a lack of proper bass to test the capcity of onboard sound system? 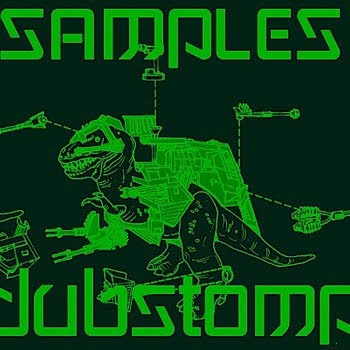 Why not go for the latest offering by the crunky glitch-hop don - Ben Samples - Dubstomp EP. You can download it from bandcamp site naming your price (incl. 0 US$)! This time, Samples distorted his tracks even further and moved bpm range to around 140 - 150, which is typical for dubstep. Yet, typical dubstep this is not by any means he he. As usual the crunky bassline plays the main role in most of the tunes of this talented producer from Denver. Heavy, straight in yer face glitch hop bangers like Hit the Club, Dope Boy Fresh or Goose will inflame any dancefloor in a minute while Fire Burning will virtually burn solid holes in the speakers. Ben Samples also remembered about a prettier half of party-goers and included in the package two, slower, deep, and equally heavy, dubstep tunes Delay the Fighting and So Emotional. Stomp bwoys and gals, stomp to the beat.